One way of data backup is storing the backups on a USB storage device. If data is sensitive, we need to password protect the USB drive on which you are backing up your data. 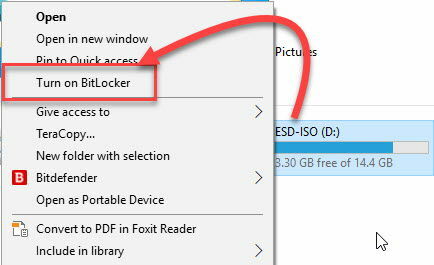 There are many third-party software and services which enabled you to protect your data on a USB drive but in this article we will discuss how to password protect the USB drive using BitLocker. 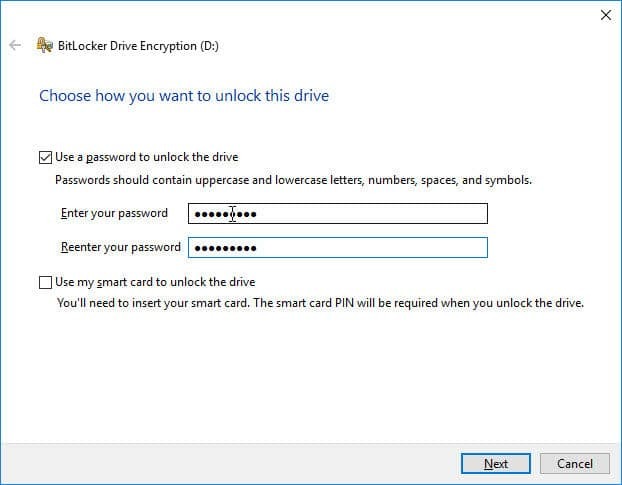 BitLocker is a Windows feature which can password protect your hard drive. Windows 10 Pro and Windows 10 Enterprise come pre-installed with BitLocker. But if you are using any other edition of Windows including Windows 10 Home, you may download BitLocker separately and secure your USB drive. 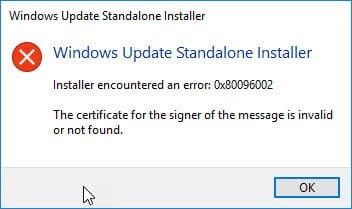 If you have already installed BitLocker, you will get an error if you rung the above mentioned updates. Once installed, you will get an option to enable BitLocker in the context menu. Just insert the USB drive in the computer’s USB port and right-click the USB drive in This Computer. Choose Turn on BitLocker. Depending upon the size of USB storage, BitLocker will take some time to analyze the drive. The next screen will give you two options to secure the USB drive. Since we are interested in password protecting the USB drive, we will select the first option. You will need to enter the password twice. Make sure you are entering a password which you can remember. If you forget the password, the USB drive will not be able to decrypt the contents and all your data will be lost. The next step will give you an option of password recovery if you ever forget your password. 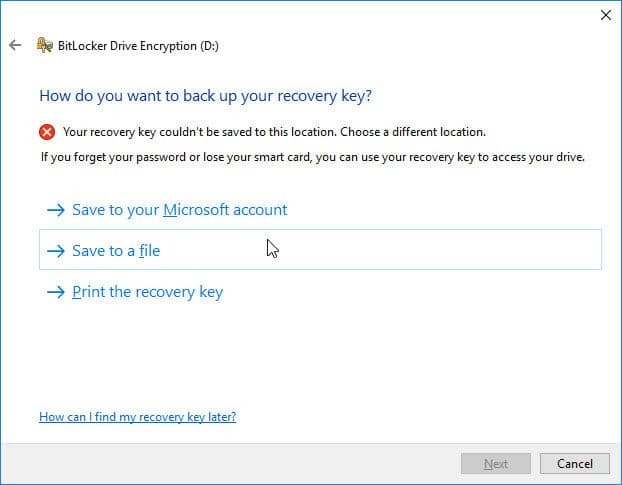 You can either save the recovery file in your Microsoft account or save to a file. If you ever forget the password, you will need this file for password recovery. Both options are self-explanatory. I normally use the first option as it’s faster. The next screen will give two more options for selecting the encryption type. Both the options are self-explanatory. We will need to use the second options “Compatible mode” as we are using a removable device. 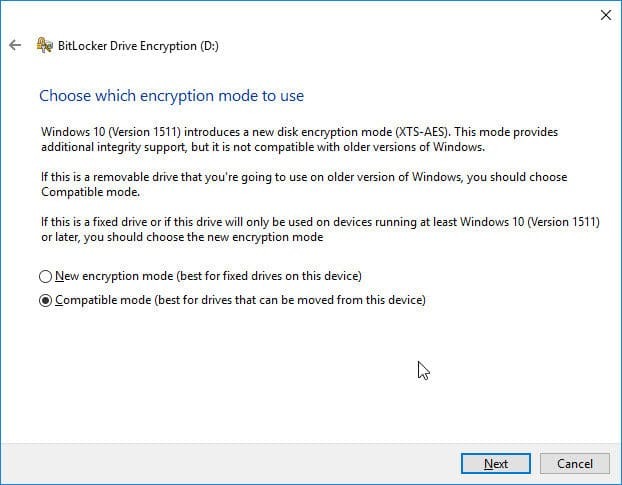 Finally BitLocker will start encrypting the contents after you press the Start encrypting button. You will need to give some time for the encryption process to complete. For faster process times, make sure there is less or no data on the USB drive initially. Once the process is complete, eject the USB drive and insert it back in. Now it will ask for your password to open. For me, this is the best method for protecting my USB storage devices. But there is one issue with this method, it requires BitLocker to be installed on all systems on this USB is to be run. In case you are using encrypting the backup USB drive then it’s fine as it’ll be inserted on the same system again and again. What do you use to protect your data in a USB drive?